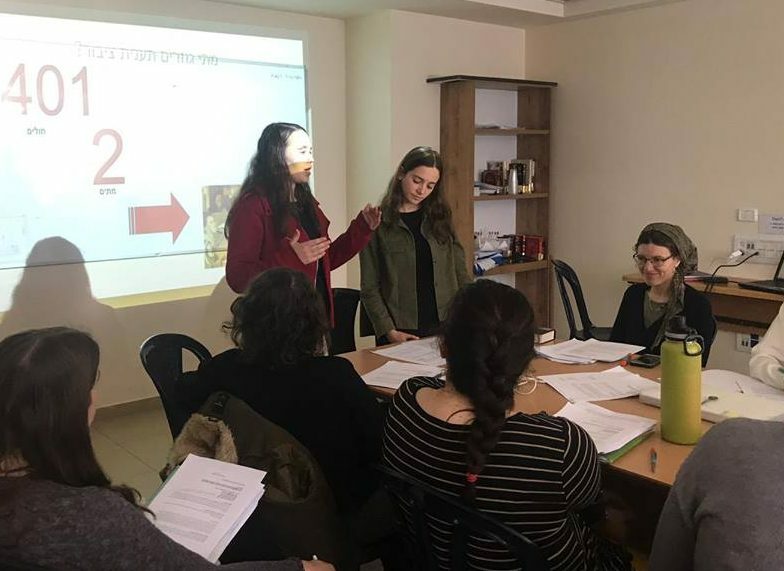 Students in Yoetzet Halacha Laurie Novick’s gemara shiur presented their independent research projects as a culmination of their unit on Halacha and Medicine. Student pairs picked topics that were personally interesting, conducted research, made their own source sheets, and then taught their peers. Presentation topics included: Prosthetics, vaccination, triage after a terror attack, euthanasia, organ donation, abortion, xenotransplantation, and surrogate motherhood.